Brad’s Deals is pleased to introduce the 2017 cohort of the Women’s Tech Accelerator, a one-of-a-kind program that aims to remove some of the obstacles that keep female-led tech startups from getting their businesses off the ground. For six months, the three participating startups receive free desk and meeting space in Shop Smart’s offices in Chicago’s River North neighborhood and mentorship from team members on topics ranging from web development to marketing and finance. Businesses in the 2017 cohort include thriveosity, Noirefy, and Book+Main. 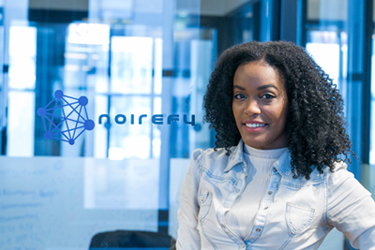 Shaniqua (Shawn) Davis launched the job referral website Noirefy in June of 2016, with a mission to connect qualified job seekers of color with top tier companies. 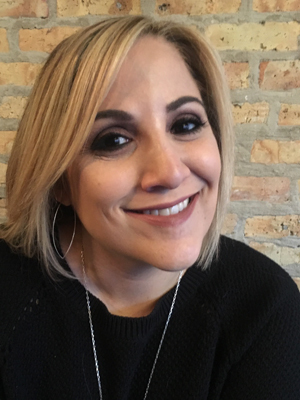 As someone who had experienced discrimination based on her name alone, she put her digital marketing and technology skills to work building a network to connect those individuals with jobs that promote diverse workplaces and cultures. The Detroit native’s eye for detail spans beyond the norms of conventional digital relations. Davis learned early on to use innovative techniques to gain both experience and significant opportunities for advancement, skills that came into play while relocating to Chicago to work in the competitive marketing industry, building contacts before deciding to leave the field and pursue entrepreneurship full time. Realizing that both patients and caregivers often struggle to meet needs that went beyond medical care, Dr. Ritu Trivedi-Purohit, PsyD, was inspired to make the lives of those impacted by cancer more manageable. 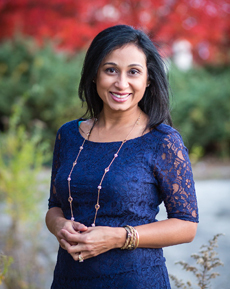 Since launching thriveosity, Dr. Ritu Trivedi-Purohit has received requests for care packages for other chronic populations such as diabetes, cardiac, surgical centers, and even from employee benefits administrators looking for better ways to support employees. Since the advent of modern-day self-publishing, the book world has dramatically shifted. Add to that the world of social media, and the ways in which readers find books and connect with authors has never been more exciting. To capture the incredible energy and possibility within the book world, Book+Main is creating new ways for authors and readers to connect. “The opportunity to work within the Brad’s Deals offices and tap into the knowledge and expertise of their incredible team could not have come at a more valuable time,” said Tracey Suppo, CEO and co-founder of Book+Main, which works both with debut authors and New York Times bestsellers. Tracey, a life-long reader, discovered the indie book world in 2015, and went on to launch a successful blog and reader group totaling more than 12,000 readers and authors. Combining her 20+ year marketing background, her love of technology and her passion for reading, she and her partners have created Book+Main to build an online presence where the book world comes to connect.